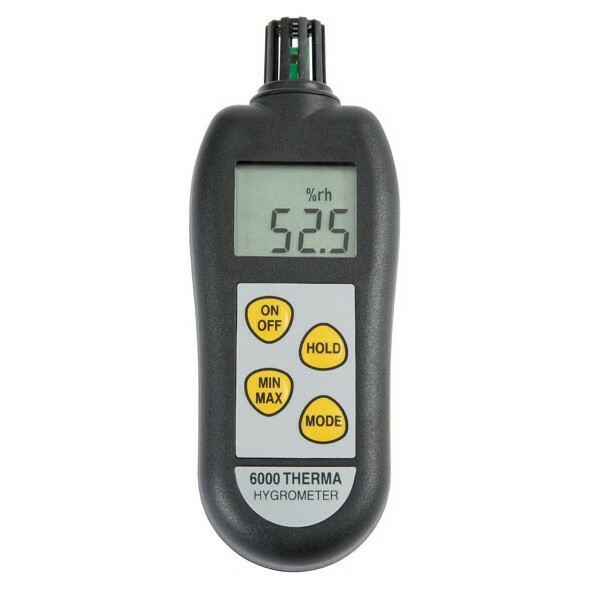 The ETI 6000 therma-hygrometer humidity meter is an easy to use therma-hygrometer measures both humidity and air temperature and dew point measurments. The ETI 6000 therma-hygrometer humidity meter displays the humidity and temperature and the dew point one at a time, to switch between the three simple select the desired mode. Continuously measured every second, the therma-hygrometer ensures which ever mode you have displayed all three measurements are monitored. If there is indication of an open circuit or low battery, the ETI 6000 therma-hygrometer humidity meter automatically displays the issue in question, allowing you to react as quickly as possible preventing you from losing any data.